We examined the scaling relationships of inland crustal earthquakes occurring in tectonically active regions such as the Japanese Islands. Two important points related to reliable scaling relationships are discussed empirically: the objective estimation of source parameters such as the seismic moment and rupture area, and the regionality of the scaling. Rupture areas are objectively estimated by trimming heterogeneous slip distributions obtained from waveform inversion. Two trimming procedures have been proposed to determine effective rupture areas, by Somerville et al. (Seismol Res Lett 70:59–80, 1999) and Thingbaijam and Mai (Bull Seismol Soc Am 106:1802–1816, 2016). We confirmed that both trimmed rupture areas agree well with each other when applied to the same dataset. The source scaling characteristics are known to depend on the seismotectonic regime. We investigate the source scaling relationships of inland crustal earthquakes in Japan using source parameters obtained from 36 slip models for 22 recent events (Mw 5.4–7.1) by waveform inversion analysis. We confirmed that the source scaling relationships consisting of two stages were almost the same as those obtained for crustal earthquakes on the US West Coast by Hanks and Bakun (Bull Seismol Soc Am 92:1841–1846, 2002). For larger earthquakes (Mw > 7.4) in seismically active regions, Tajima et al. (ZISIN2; J Seismol Soc Jpn 66:31–45, 2013) found saturation of fault displacements showing the third stage. Combining the earthquake data of Mw 5.4–7.1 in this study with those of Mw 7.0–8.0 compiled by Murotani et al. (Pure Appl Geophys 172:1371–1381, 2015), we conclude that the scaling relationship for rupture area versus seismic moment coincides with the three-stage source scaling relationship using source parameters extracted from waveform inversions. The online version of this article ( https://doi.org/10.1007/s00024-019-02160-0) contains supplementary material, which is available to authorized users. We used the hypocentral information catalog of the Japan Meteorological Agency (JMA) in cooperation with the Ministry of Education, Culture, Sports, Science, and Technology (MEXT), and source information from F-net provided by the National Research Institute for Earth Science and Disaster Resilience (NIED). We would like to thank Dr. Asano, K. (DPRI), Dr. Sekiguchi, H. (DPRI), Prof. Iwata, T. (DPRI), Dr. Horikawa, H. (AIST), Dr. Kubo, H. (NIED), Dr. Suzuki, W. (NIED), Dr. Aoi, S. (NIED), and Dr. Hikima, K. (TEPCO) for provision of waveform inversion results. Careful reviews and comments by the editor and two anonymous reviewers were quite helpful in improving the manuscript. 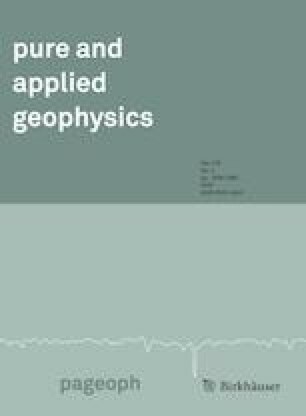 This study was mainly based on the 2017 & 2018 research project “Examination for uncertainty of strong ground motion prediction for the inland crustal earthquakes” by the Secretariat of the Nuclear Regulation Authority (NRA), Japan. Headquarters for Earthquake Research Promotion (HERP). (1999). Seismic activity in Japan. https://www.hp1039.jishin.go.jp/eqchreng/eqchrfrm.htm. Accessed Oct 2018. Headquarters for Earthquake Research Promotion (HERP). (2017). Predicting strong ground motions for identified earthquake scenarios (RECIPE) (in Japanese). https://www.jishin.go.jp/main/chousa/17_yosokuchizu/recipe.pdf. Accessed Oct 2018.
International Atomic Energy Agency (IAEA). (2016). Diffuse seismicity in seismic hazard assessment for site evaluation of nuclear installations. Safety reports series, no. 89. https://www-pub.iaea.org/MTCD/publications/PDF/Pub1727web-33787836.pdf. Accessed Oct 2018.